Texas Conservative Republican News: Texas School Spending grew 5x faster than enrollment - NO Revenue Problem, Its A Spending Problem! Texas School Spending grew 5x faster than enrollment - NO Revenue Problem, Its A Spending Problem! Recently, there’s been some kerfuffle over how fast school district spending has grown in comparison to enrollment growth. Governor Perry stated that between 2002 and 2012, Texas increased public education spending at three times the rate of student enrollment growth. Politifact rated this statement as “False” on their “Truthometer”. 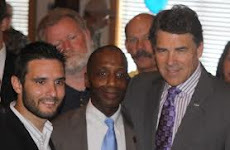 Politifact claims that once inflation and other factors are brought into the equation, Governor Perry’s statements don’t hold up…only the Governor made no claims that the numbers were adjusted, he was quoting raw data. To help settle the matter, let’s go to a neutral, knowledgeable source: the Texas Comptroller. Though not identical, the time frame is quite similar to the one referenced by Governor Perry. And the numbers are clear: school spending increased at almost 5 times the rate of enrollment growth. However you look at the numbers, schools don’t have a revenue problem, they have a spending problem.